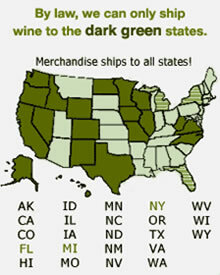 Do you enjoy discovering and sharing obscure wines from around the globe? Then we are friends in wine, and this one will be our bonding moment. 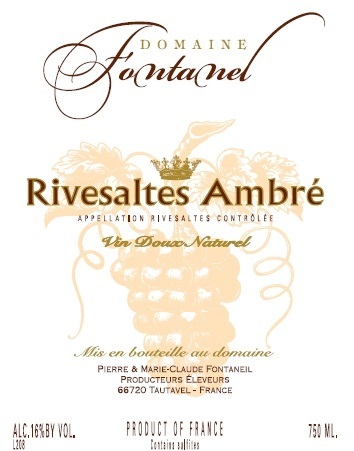 So what is this, this Rivesaltes Ambré?? It's a dessert wine, first and foremost. One that is crafted from 60 year-old Grenache Blanc vines and blended with Grenache Gris and Muscat. The classic rancio nose (the nutty characteristic of a Sherry) leads one down the Amontillado exit, but the first sip jerks the wheel and redirects the taster down the path of roasted nuts and carmelized citrus peel. Clasically, this wine is served with nuts and fruits (fresh, dried or baked) and you'd be well pleased with such a pairing. But I also find its higher alcohol (16%+) and nutty sweetness provide the perfect foil to a wide variety of fine chocolates. And as you likely know if you've ever tried pairing wine and chocolate, finding a perfect match is not as easy as one might think! Rivesaltes is a town in the south of France, located in the eastern Rousillon area. It is known primarily for its sweet wines, of which this is one of five types - Rosé, Grenat, Ambré, Tuilé and Hors d'Age (a subset of Ambré and Tuilé). Ambré must see a minimum of two years of oxidative ageing, resulting in a deep golden hue upon bottling that develops deeper color with bottle age. From Janna of Beverly Hills, California on 5/18/2018 .